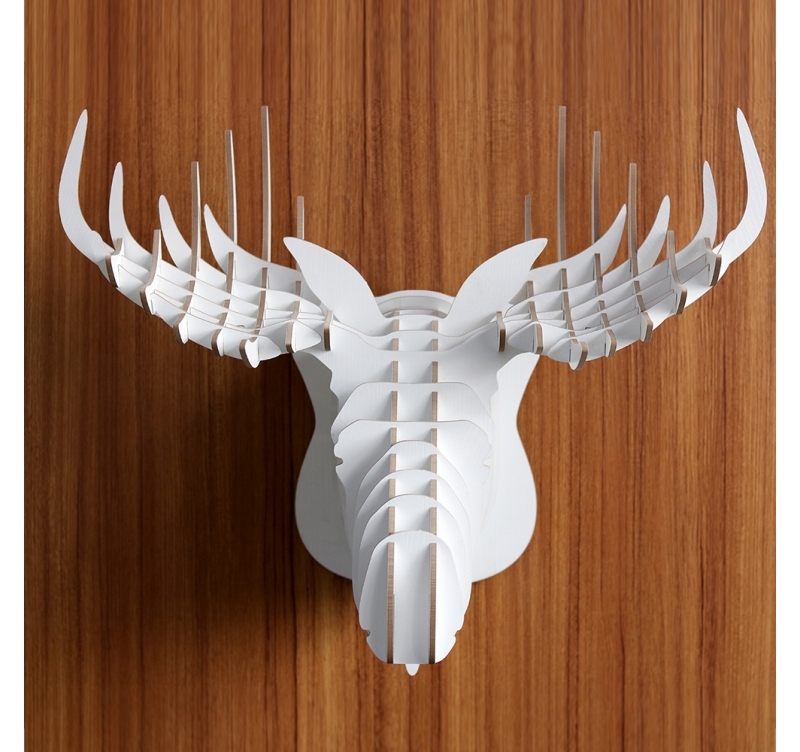 A beautiful elk head as a design wall decoration! 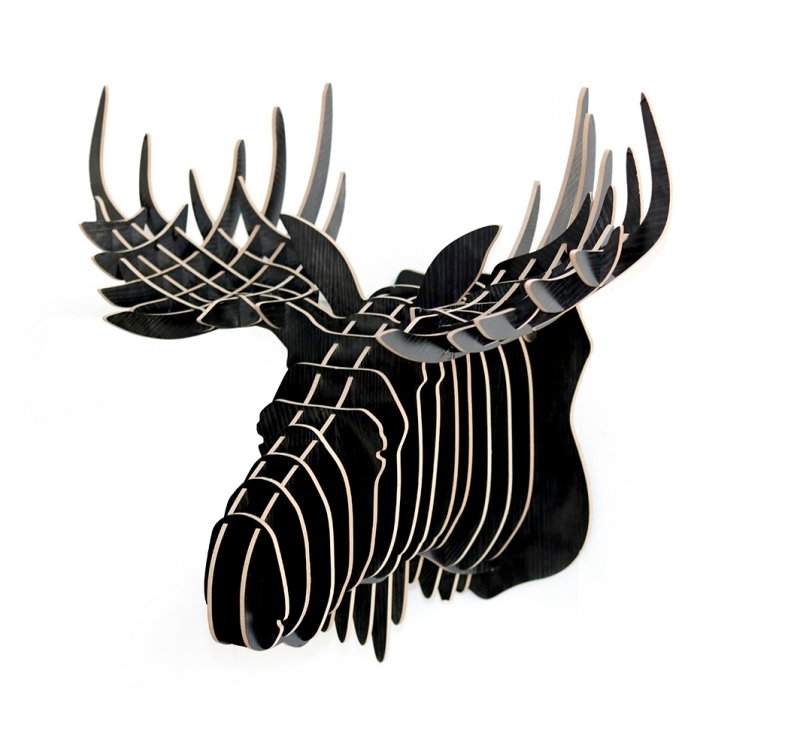 This animal wall trophy is entirely hand made. The dimensions of this modern wall decoration are 52 x 61 cm. 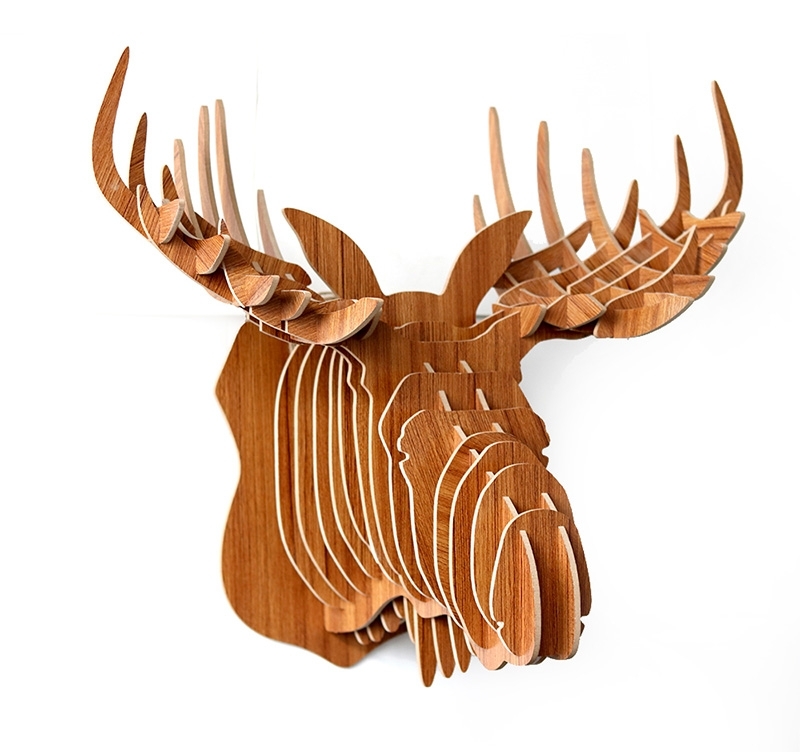 You will only need a few minutes to put together the different parts of this wood wall trophy. 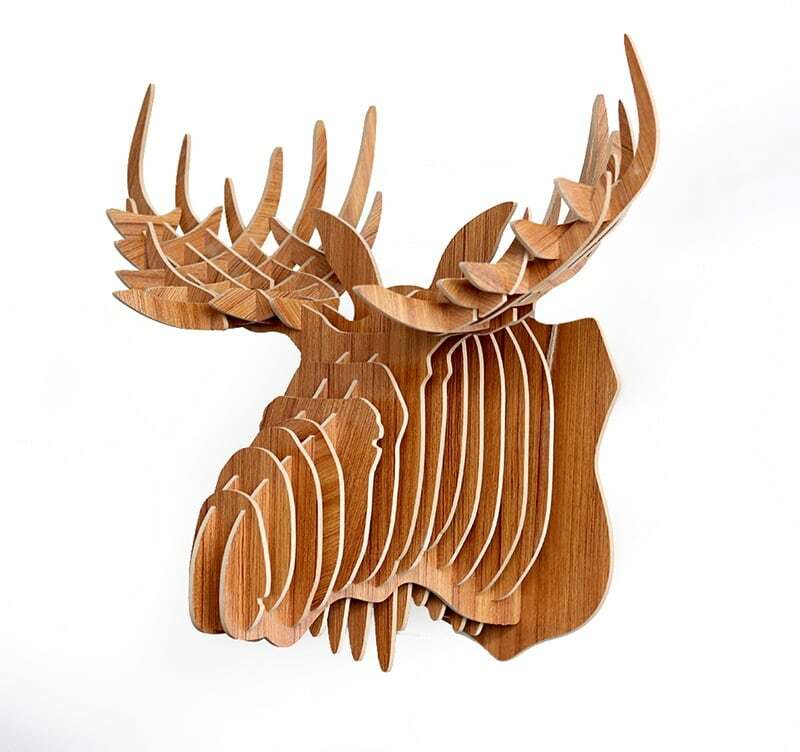 With large and flat antlers, this elk head wood wall decoration brings a contemporary touch to your walls! Feel all the power of this animal in a unique lounge decoration that will move you with its aura and realism. 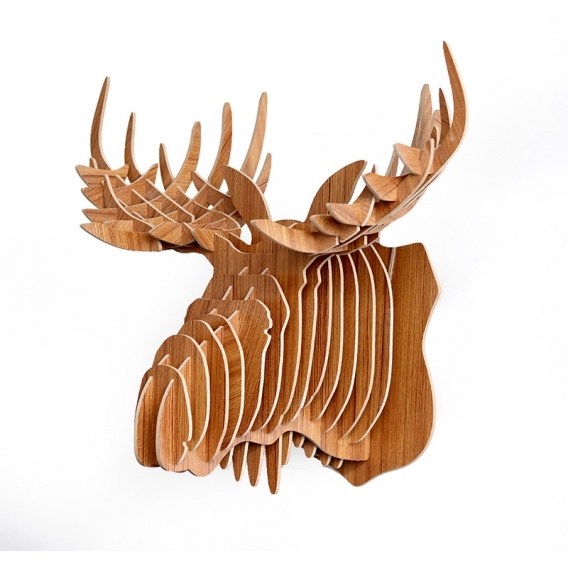 Ideal for a chalet, you can also hang up this contemporary animal deco in a bedroom to give a natural and wood ambiance. 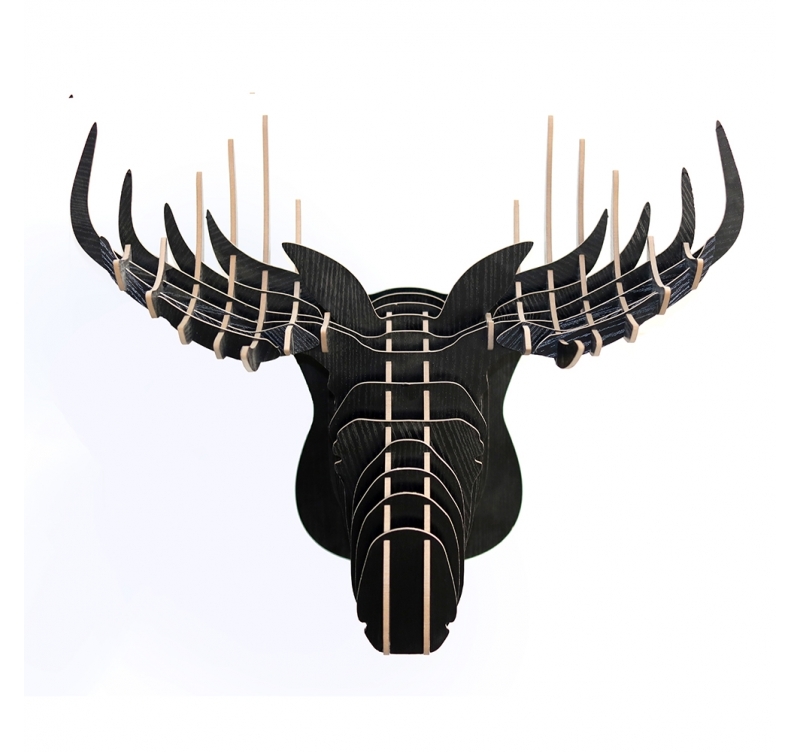 Artwall and Co proposes you a collection of modern wood wall decorations with different animal heads for design and nature lovers. 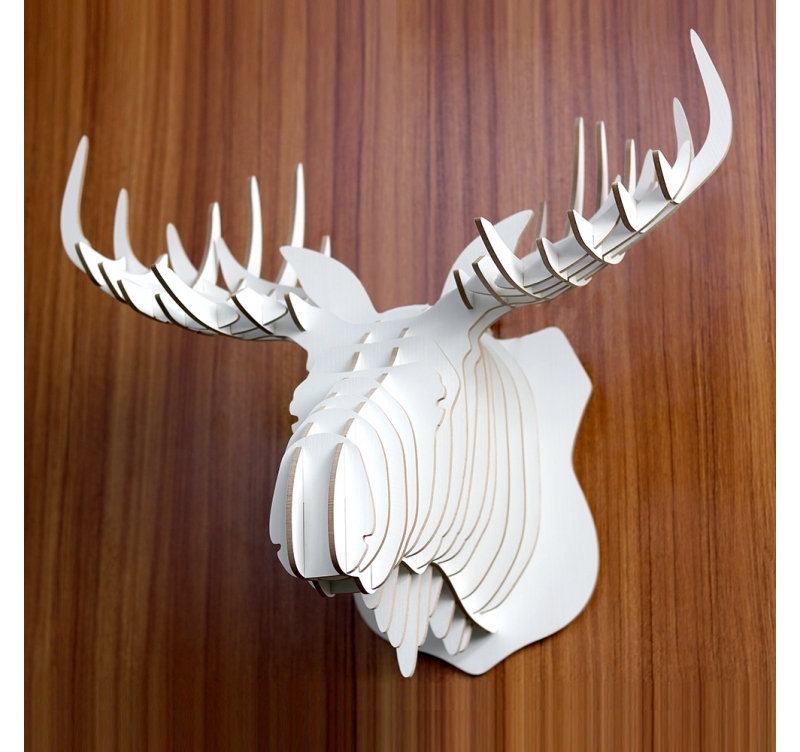 Delivered in its personalised Artwall and Co box, this elk trophy deco comes as a kit to make its putting together easy. With an integrated hanging system you only have to choose a wall and embellish it in the blink of an eye ! The delivery is free in metropolitan France and Belgium for our wood wall trophies decorations.